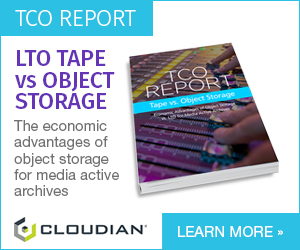 The vendors’ integration will enable their Software Defined Archive (SDA) platform to work across a wide range of storage platforms: from LTO, to Object Matrix’s MatrixStore, and to public cloud. MatrixStore, the media-focused hybrid cloud solution from Object Matrix and Cloudfirst’s SDA are intended to help de-risk a media company’s cloud strategy. As well as virtualising the hardware storage stack the solution provides SMB, NFS, S3, FC (SCSI) and native access through a global namespace spanning all storage tiers and technologies. The combination also allows for built-in automated background migration of content from legacy LTO archives to newer storage platforms. Because of the software virtualisation, current workflows can be maintained during the migration period.